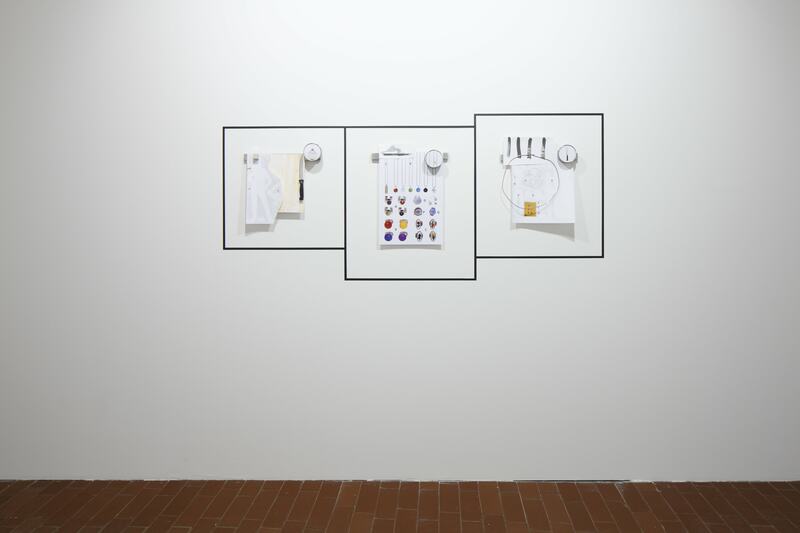 Art in General presents a solo exhibition of newly commissioned work by Sara Magenheimer in partnership with the Kim? Contemporary Art Centre in Riga, Latvia. The forthcoming project includes a series of assemblage sculptures and projected video with original audio. The works on display are unified by subtle atmospheric cues, mimicking the protocols of branded, commercial spaces. A custom fragrance inspired by the artist’s linguistic prompts will infuse the installation—titled LUCKILY, the scent announces itself as a distillation of good omens, permeating the exhibition with a cartoonish optimism. 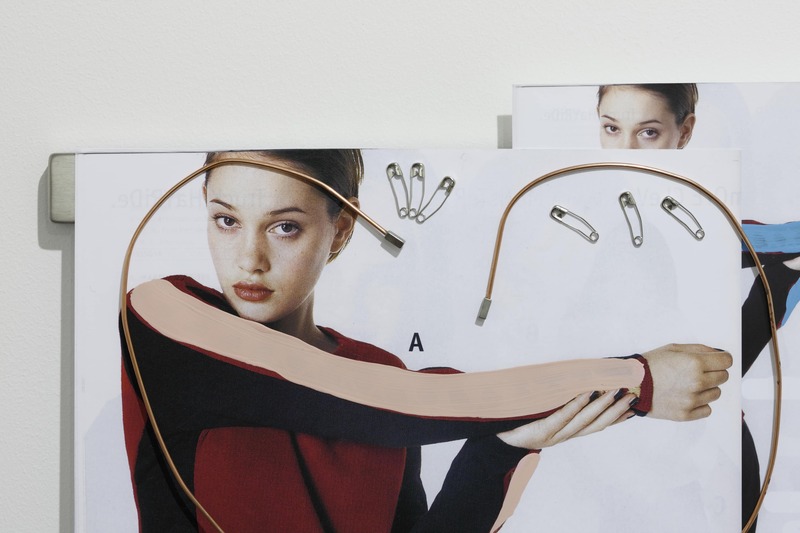 Magenheimer’s new sculptures incorporate products including kitchen knives, safety pins, mannequin forms, and altered images from the popular Delia*s catalog. In the 1990’s, Delia*s photography presented alternative attitudes for young women, showing models that were tough, cool, smart, confrontational, funny, outspoken, and athletic. Its clothes and styling offered a fresh take on traditional gender roles in the space of advertising, and revealed how progressive identities were packaged and sold. The collaged images of unconventional young women are further complicated in their proximity to items such as kitchen knives—more than a domestic tool, the knife calls to mind phrases like “double edged sword” or “it cuts both ways.” The object also references the process of editing, signifying a viewer who may cut and sequence the catalog’s cast of characters to t an imagined narrative. 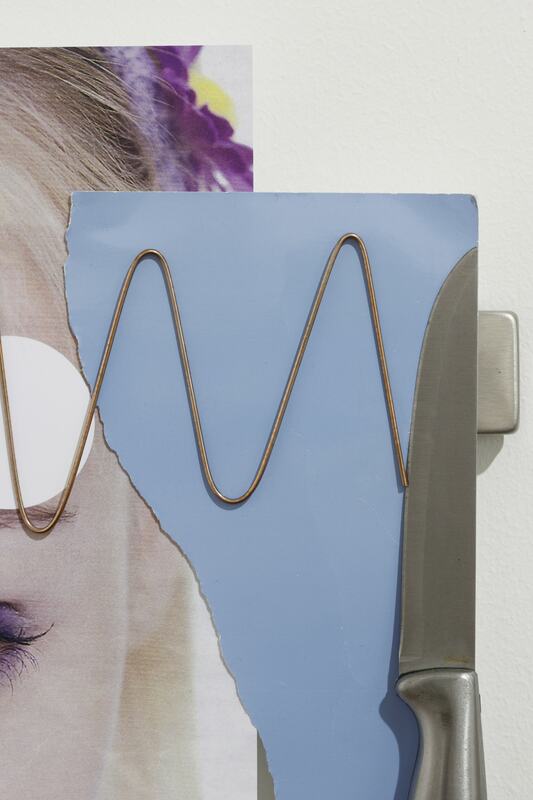 The disparate sculptural elements are held together by magnetic force in provisional displays, pointing to the precarious nature of “femaleness” in society, and suggesting the possibility of rearranging existing structures. 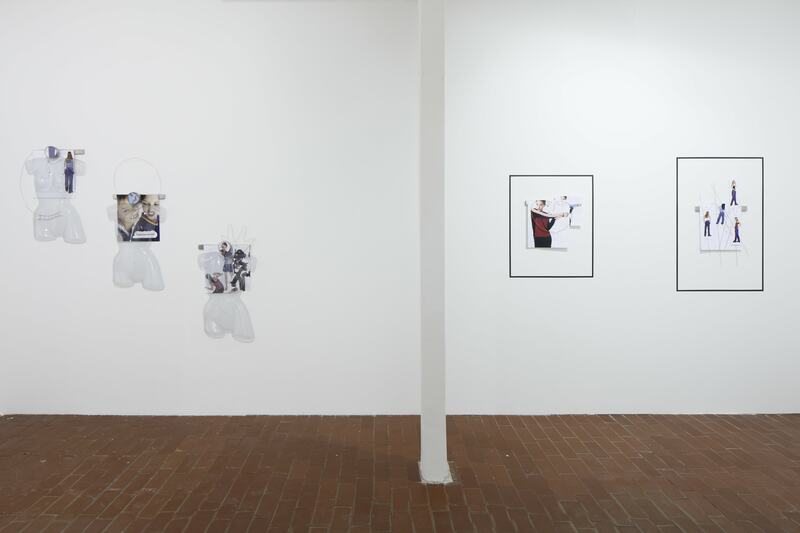 Throughout the exhibition, images of women and the merchandise strategically marketed to them, such as jewelry, shoes, perfume, and interior design, interrogate gendered aspects of capitalism and the sedative activities of consumerism. Magenheimer addresses how we remain in a perpetual state of desire for material goods, foregrounding conditions of disengagement. 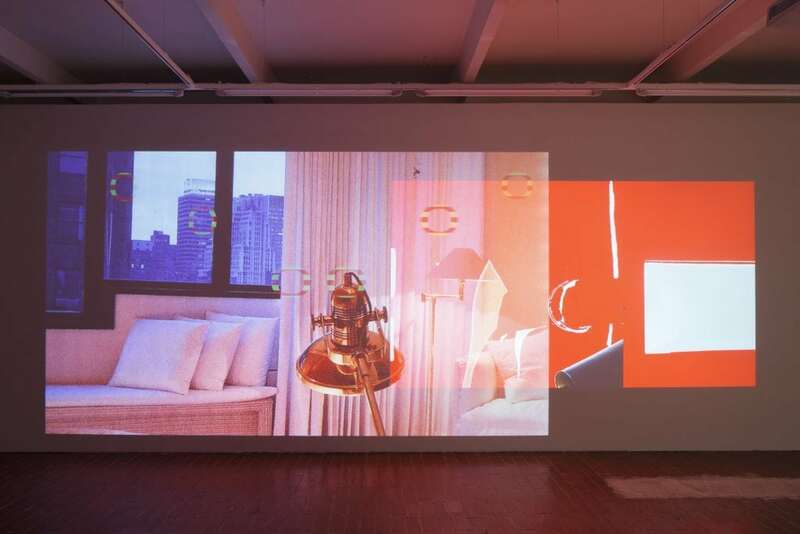 An immersive video diptych invokes prevalent contemporary experiences that operate as forms of distraction and separation from one’s present circumstances. Screen-grabs and video capture of online shopping actions proceed at a slow and steady pace, alongside a protracted soundtrack of looping ambient synth audio. Simultaneously, images of idealized architecture represent collective fantasies of comfort and safety—examples of commodified, haute shelters continue in a seemingly endless chain. The video’s droning pace echoes the exhibition’s title that presupposes a subject controlled and numbed by consumerism. Sara Magenheimer was born in Philadelphia and currently resides in Brooklyn, New York. She is the recipient of a 2014 Rema Hort Mann Foundation Grant, 2015 Artadia Grant, and winner of the Prix De Varti at the 2015 Ann Arbor Film Festival. 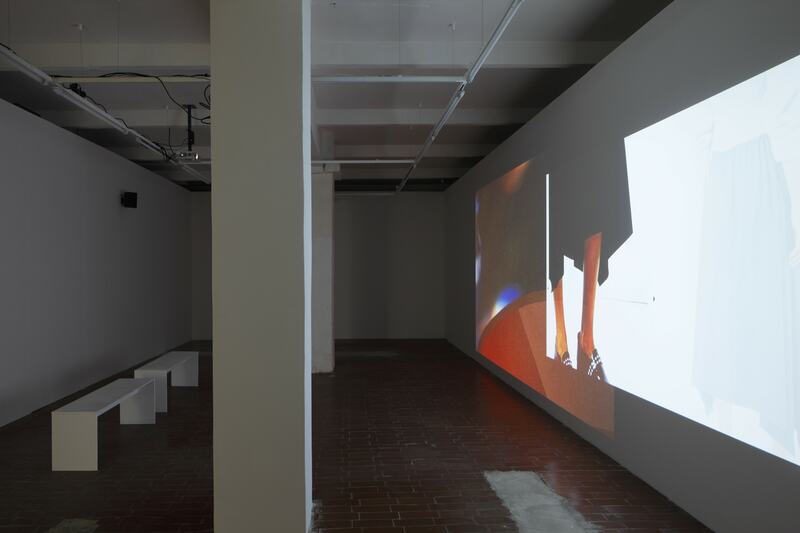 Recent exhibitions and video screenings include JOAN, Los Angeles; Interstate Projects, Brooklyn; Futura, Prague; Document Gallery, Chicago; 247365, Brooklyn; Cleopatra’s, Brooklyn; Images Festival, Toronto; the New York Film Festival; Portland Museum of Modern Art; and the Living Art Museum, Reykjavik in 2014-2015. Magenheimer’s collaborative sound project, Bloopers, has received commissions from Triple Canopy and EMPAC at Rensselaer Polytechnic Institute. Since 2012, she has performed at Recess, MoMA P.S.1, Issue Project Room, and the Performa 13 Biennial. Magenheimer performed in various bands during 2004–2010, touring extensively and releasing five records. She holds a MFA from Bard College and a BFA from the School of the Museum of Fine Arts in Boston.